Moeen Ali produced the goods with bat and ball for a second time today as Worcestershire clinched the Vitality Blast title after an exciting day’s cricket. 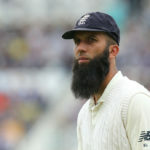 England all-rounder Moeen Ali’s allegation that he was called ‘Osama’ by an Australian player during the 2015 Ashes is set to be investigated by Cricket Australia. Cook dodges the axe by retiring ahead of the fifth Test, writes Simon Lewis. 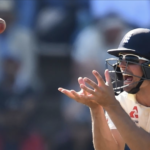 England captain Joe Root has heaped praise on recalled off-spinner Moeen Ali for a superb bowling performance that secured the series win against India. Moeen Ali says he is pleased with England’s position heading into day three of the fourth Test against India. 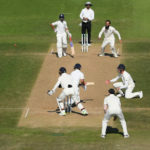 Moeen Ali has moved up 13 places to 12th position in the bowlers’ chart following his match-winning spell at Old Trafford that tore the heart out of the Aussie top-order. 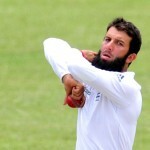 Moeen Ali hit back at Dean Elgar’s comments suggesting that the Proteas have found a chink in England’s armour.